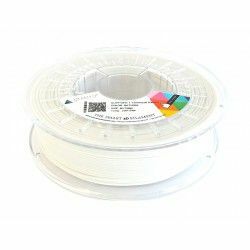 The filament PLA is a biodegradable plastic due to its natural origin (corn, sugarcane or potatoes). In addiction, it is one of the most easy to print materials in the 3D printing world. That PLA let you get 2 surface nishes? If the lament is extruded at a temperature lower than 225ºC, you’ll achieve a Gloss nish, but if the temperature is over 225-230ºC you’ll get a Matt nish. Print easily a lot of models with higher printing speed than other materials. You will not have pieces with warping as this material does not have contractions, so you will be able to print with high resolution models with a good surface nish. Print your designs in many superb colours! PLA Mahogany The filament PLA is a biodegradable plastic due to its natural origin (corn, sugarcane or potatoes). As well, it is one of the most easy to print materials in the 3D printing world. 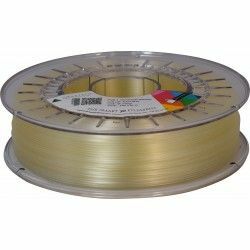 PLA Cobalt The filament PLA is a biodegradable plastic due to its natural origin (corn, sugarcane or potatoes). In addiction, it is one of the most easy to print materials in the 3D printing world.